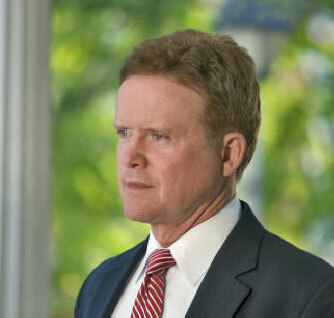 Jim Webb is descended principally from the Scots-Irish settlers who came to this country from Northern Ireland in the 18th century and became pioneers in the Virginia mountains. Through the 1800's and early 1900's, Mr. Webb's ancestors moved steadily west and south from Virginia, most often to settlements in North Carolina, Tennessee, Kentucky, Arkansas and Missouri. In the mid-1900's many members of the family joined the westward migration to California, and the family is now scattered throughout the continental United States. Both sides of Mr. Webb's family have a strong citizen-soldier military tradition that predates the Revolutionary War. Mr. Webb's father was a career Air Force officer who flew B-17s and B-29s during World War Two, cargo planes during the Berlin Airlift, and was a pioneer in the United States missile program. Colonel Webb, who was the first family member to finish high school and who graduated from the University of Omaha in 1962 after 26 years of night school, put the first Atlas missile into place for the Air Force in the late 1950's, and held an unsurpassed success-rate record as commander of an Atlas, Thor, and Scout Junior missile squadron during the early 1960's. During the Vietnam war he served at Air Force Systems command on sensitive satellite link programs and as a legislative affairs officer in the Pentagon, leading him to become a vocal critic of Defense Secretary McNamara's leadership methods and causing him eventually to retire from the Air Force, partially in protest of the manner in which the Vietnam War was being micromanaged by the political process. Jim Webb grew up on the move, attending more than a dozen different schools across the U.S. and in England. He graduated from high school in Bellevue, Nebraska. First attending the University of Southern California on an NROTC academic scholarship, he left for the Naval Academy after one year. At the Naval Academy he was a four-year member of the Brigade Honor Committee, a varsity boxer, and was one of six finalists in the interviewing process for Brigade Commander during his senior year. Graduating in 1968 he chose a commission in the Marine Corps, and was one of 18 in his class of 841 to receive the Superintendent's Commendation for outstanding leadership contributions while a midshipman. First in his class of 243 at the Marine Corps Officer's Basic School in Quantico, Virginia, he then served with the Fifth Marine Regiment in Vietnam, where as a rifle platoon and company commander in the infamous An Hoa Basin west of Danang he was awarded the Navy Cross, the Silver Star Medal, two Bronze Star Medals, and two Purple Hearts. He later served as a platoon commander and as an instructor in tactics and weapons at Marine Corps Officer Candidates School, and then as a member of the Secretary of the Navy's immediate staff, before leaving the Marine Corps in 1972. Mr. Webb spent the "Watergate years" as a student at the Georgetown University Law Center, arriving just after the Watergate break-in in 1972, and receiving his J.D. just after the fall of South Vietnam in 1975. While at Georgetown he began a six-year pro bono representation of a Marine who had been convicted of war crimes in Vietnam (finally clearing the man's name in 1978, three years after his suicide), won the Horan award for excellence in legal writing, and authored his first book, Micronesia and U.S. Pacific Strategy. He also worked in Asia as a consultant to the Governor of Guam, conducting a study of U.S. military land needs in Asia, and their impact on Guam's political future. Mr. Webb has written six best-selling novels: Fields of Fire (1978), considered by many to be the classic novel of the Vietnam war, A Sense of Honor (1981), A Country Such As This (1983), Something To Die For (1991), The Emperor's General (1999) and Lost Soldiers (2001). He taught literature at the Naval Academy as their first visiting writer, has traveled worldwide as a journalist, and his PBS coverage of the U.S. Marines in Beirut earned him an Emmy Award from the National Academy of Television Arts and Sciences. In government, Mr. Webb served in the U.S. Congress as counsel to the House Committee on Veterans Affairs from 1977 to 1981, becoming the first Vietnam veteran to serve as a full committee counsel in the Congress. During the Reagan Administration he was the first Assistant Secretary of Defense for Reserve Affairs from 1984 to 1987, where he directed considerable research and analysis of the U.S. military's mobilization capabilities and spent much time with our NATO allies. In 1987 he became the first Naval Academy graduate in history to serve in the military and then become Secretary of the Navy. He resigned from that position in 1988 after refusing to agree in the reduction of the Navy's force structure during congressionally-mandated budget cuts. Among Mr. Webb's many other awards for community service and professional excellence are the Department of Defense Distinguished Public Service Medal, the Medal of Honor Society's Patriot Award, the American Legion National Commander's Public Service Award, the VFW's Media Service Award, the Marine Corps League's Military Order of the Iron Mike Award, the John Russell Leader-ship Award, and the Robert L. Denig Distinguished Service Award. He was a Fall 1992 Fellow at Harvard's Institute of Politics. Mr. Webb travels extensively, particularly in Asia, as a journalist, business consultant and screenwriter-producer. He speaks Vietnamese and has done extensive pro bono work with the Vietnamese community dating from the late 1970's. In 1989 he met with key Japanese government and industrial officials as a featured guest of the Japanese Foreign Ministry. He has worked on feature film projects with many of Hollywood's top producers. His original story Rules of Engagement, which he also executive-produced, was released in April 2000 and starred Tommy Lee Jones and Samuel L. Jackson. It was the number one film in the US for two weeks. His fifth novel The Emperor's General was purchased by Paramount pictures as the largest book-to-film deal of 1998. His book Born Fighting, How the Scots-Irish Shaped America, which was his first commercial non-fiction effort, was published in October 2004. It is currently in its 10th printing. He has most recently written a second non-fiction book entitled, "A Time to Fight, Reclaiming a Fair and Just America," which was published by Broadway Books mid-May 2008 to great acclaim. It is currently on the New York Times bestseller list. Mr. Webb is currently the Senior U.S. Senator from Virginia, and during his first term in office his legislative priorities have been guided by three themes: 1) reorienting America's national security posture, 2) promoting economic fairness, and 3) increasing government accountability. -developing stronger ethics laws and making government more transparent and accountable to the American taxpayer through greater oversight over wartime contracts. Mr. Webb sits on the Senate Committees on Foreign Relations, Armed Services, Veterans' Affairs, and the Joint Economic Committee.